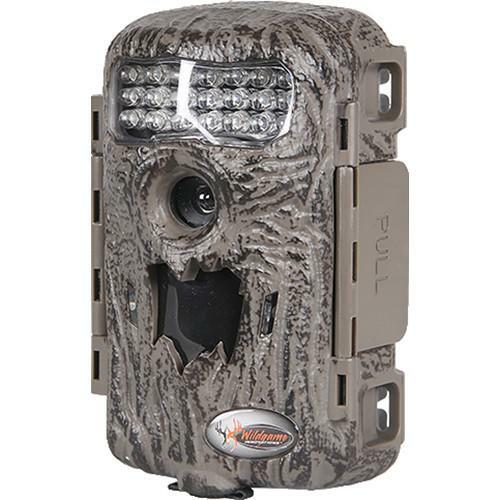 We recommend checking out our discussion threads on the Wildgame Innovations Illusion 8 Lights Out Trail Camera I8B20, which address similar problems with connecting and setting up Trail/Wildlife Cameras Wildgame Innovations. The user manual for the Wildgame Innovations Illusion 8 Lights Out Trail Camera I8B20 provides necessary instructions for the proper use of the product Optics - Firearm & Field Accessories - Trail/Wildlife Cameras. 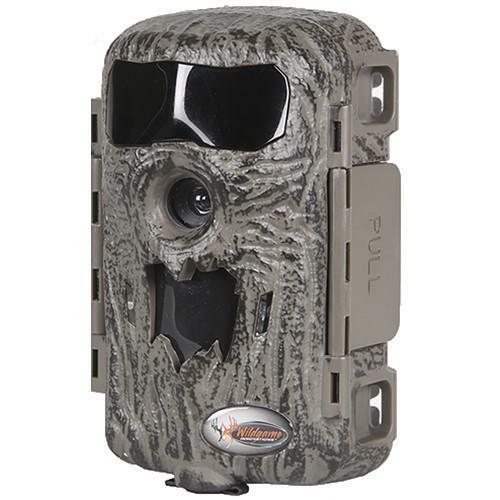 The 8MP resolution and 1 second motion trigger speed make the Wildgame Innovation Illusion 8 Lights Out Trail Camera a solid choice for patterning game animals. A Trubark HD finish helps conceal the housing from wary animals, while the passive infrared (PIR) motion sensor activates the camera when it senses motion or a change in temperature. Both 14:3 and 16:9 aspect ratios are available in both photo and video. It also features a 27 black LED flash with an effective range of 55' so it will not spook animals, and effectively capture images and video even at night. Flextime+ Time-Lapse Technology lets you capture images at set intervals and create time-lapse videos out of them using the included Flextime software CD. Time lapse photography can be set to occur at various intervals at dusk and dawn. The Illusion 8 Lights Out accepts SD/SDHC memory cards up to 32GB, which are available separately. It runs on 8 AA batteries, which also must be purchased separately. There is an external power port for the optional EBX External Battery Pack, which provides more power. A USB cable for connection to a computer is supplied, as is a strap for mounting the camera to a tree. If you own a Wildgame Innovations trail/wildlife cameras and have a user manual in electronic form, you can upload it to this website using the link on the right side of the screen. The user manual for the Wildgame Innovations Illusion 8 Lights Out Trail Camera I8B20 can be downloaded in .pdf format if it did not come with your new trail/wildlife cameras, although the seller is required to supply one. It is also quite common that customers throw out the user manual with the box, or put the CD away somewhere and then can’t find it. That’s why we and other Wildgame Innovations users keep a unique electronic library for Wildgame Innovations trail/wildlife camerass, where you can use our link to download the user manual for the Wildgame Innovations Illusion 8 Lights Out Trail Camera I8B20. The user manual lists all of the functions of the Wildgame Innovations Illusion 8 Lights Out Trail Camera I8B20, all the basic and advanced features and tells you how to use the trail/wildlife cameras. The manual also provides troubleshooting for common problems. Even greater detail is provided by the service manual, which is not typically shipped with the product, but which can often be downloaded from Wildgame Innovations service. If you want to help expand our database, you can upload a link to this website to download a user manual or service manual, ideally in .pdf format. These pages are created by you – users of the Wildgame Innovations Illusion 8 Lights Out Trail Camera I8B20. User manuals are also available on the Wildgame Innovations website under Optics - Firearm & Field Accessories - Trail/Wildlife Cameras. I need the manual for this trail camera. It shows ERR 5D. What is this and how do I solve the problem? I cannot locate any operators manual for this unit. Hi, Do you have a manual in Finnish? I am experiencing the same. Did you ever figure it out? Wildgame Innovations Illusion Lightsout 10 Game Camera not sure what I'm doing wrong several times I've come back with no images. When I know there should be. It seems device is off. What is correct way to be sure it is on. I have a i10i20w1 camera that flashes a ERR 5D code. I changed the simms card but still get this code. I need a operations manual with a code chart please. Thank you.